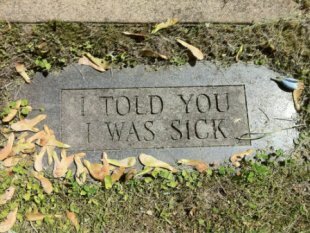 Today is my annual physical. So I’m busy working on new material for my doctor. My Bellingham physician is great. He immediately figured out my weird symptoms added up to Post-Traumatic Stress Disorder. He recognized my underlying problem with codependency and sent me to Codependents Anonymous. He correctly diagnosed my keyboard-induced tennis elbow. He’s much nicer than Dr. House, the abrasive but insightful head of TV’s fictional “Department of Diagnostic Medicine.” He doesn’t laugh at my jokes about suing people for malpractice, but doctors never do. 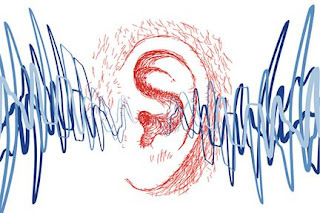 Lately I’ve been bothered by tinnitus, or “ringing in the ears.” It’s only my left ear, and it’s not all the time, but the symptoms are much more frequent and noticeable than ever before. I think it’s playing a high D.
1. Tinnitus correlates with PTSD, as well as with stress generally. Years ago, a friend had to quit singing in the chorus because his ears rang too much. He also had to quit practicing law. 2. Tinnitus is a side effect of certain medications, or potentially exacerbated by them. Including my meds, according to some random online comments I read. 3. The Mayo Clinic says tinnitus commonly accompanies age-related hearing lost, particularly with men. But it’s not supposed to happen till you’re over 60. And my hearing still is much better than my kids’. We should start a betting pool to guess which one my doctor will pick. In light of my preliminary research, tinnitus seems like too much of a softball for my excellent physician. 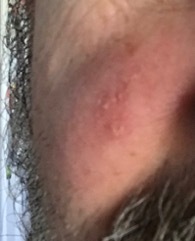 Fortunately, I also have a weird skin rash on the other side of my face. I noticed it when I woke up a couple of weeks ago. I assumed it was an allergic reaction to the new dryer sheets. Later, I saw a couple of puncture wounds that made me suspect bug bites. Then the hard lump under the skin blocked my peripheral vision, and suggested melanoma. I also remembered a few years ago when a spider bite left me with a golf ball sized bump on my leg. Right now I’m leaning towards a brain tumor. We’ll see what Dr. Heuristic says. My doctor said I have a barnacle in my ear. But other than that I'm doing great. Even better than Donald Trump's doctor said he was doing.